Parsecs – an epic space adventure! 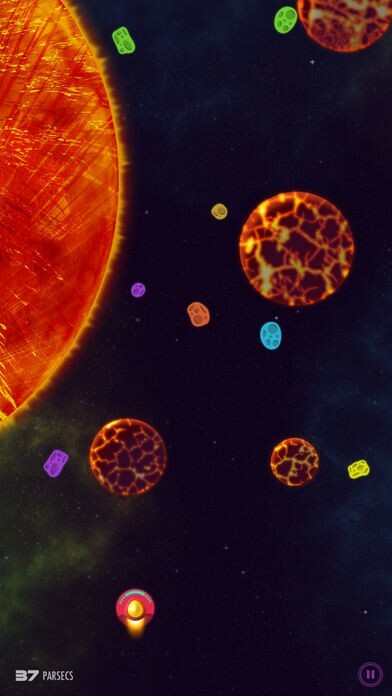 Travel to the farthest reaches of the universe while dodging asteroids and other surprises in this physics-based epic space adventure. Warning! Flying into the sun will likely ruin your day. • Easy and innovative control scheme, flick anywhere to move in that direction. • Fast paced, exciting gameplay that calls for quick reflexes and creates awesome "close call" experiences. 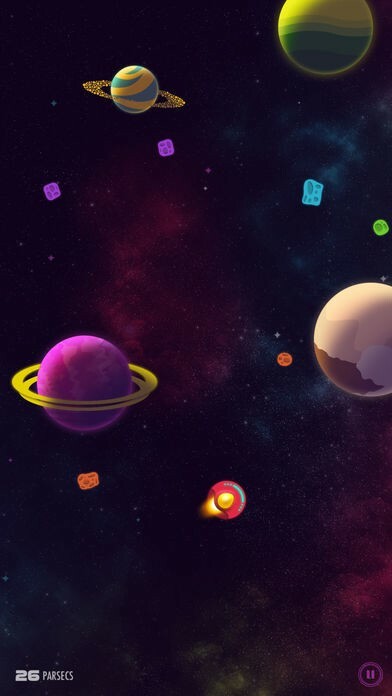 • Use upgrades to progress deeper into space. 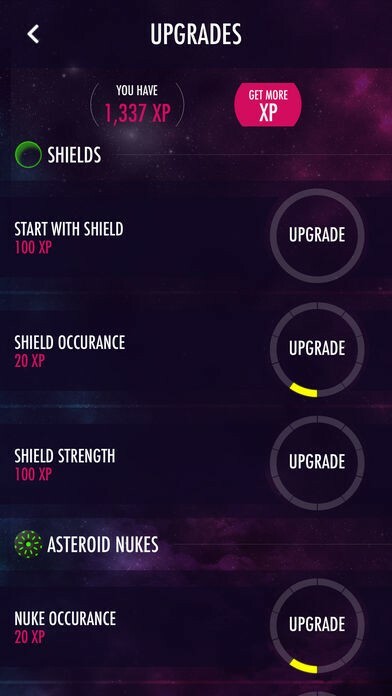 Earn shields to survive longer and asteroid nukes to clear the way of danger ahead. • Beautiful art. 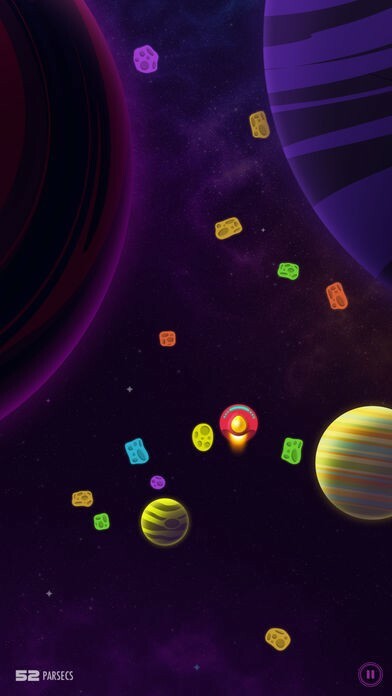 Spacescape backgrounds that change every 10 parsecs, 26 different planets, over 60 different asteroid combinations, suns, black holes, parallax stars and... asteroid bubbles? • ReplayKit so you can share your epic space adventures with your friends. • Game Center support complete with achievements and leaderboard. • Universal app. 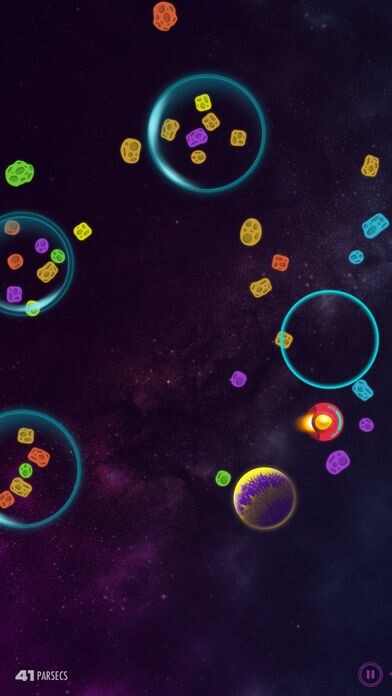 Same great gameplay on every iOS device, dynamically balanced for any screen size. • Parsecs Rewards - powered my mPLUS Rewards! Earn cool swag just by playing the game.